With a typical ELISA protocol, several repeat cycles of microplate washing, reagent addition and incubation are executed to add specific reagents and to remove unbound material before data collection. This often manual process requires a technician to manage timing and be available to move the plate between washer and multiple dispensers. The new EL406™ Microplate Washer Dispenser increases a laboratory’s efficiency and productivity. This automation friendly, multifunctional instrument uniquely combines the industry standard ELx405 Select CW Washer with a peristaltic reagent pumping system and two highly accurate syringe drive dispensers. 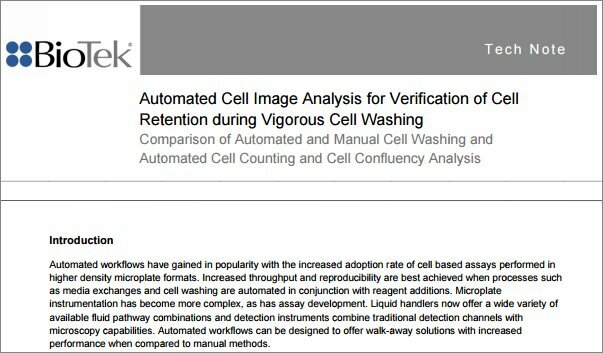 The wash module incorporates BioTek’s patented Dual-Action™ manifold design for 96- 384-, and 1536-well microplates, along with optimized flow rates for cell-based applications. The peristaltic pump utilizes a unique design to provide accurate and precise volumes ranging from 1 µL to 3 mL. With two optional syringe pump dispensers, a total of three reagents can be dispensed without operator intervention. Together with a BioStack Microplate Stacker, as a batch processor the EL406 will manage all liquid handling steps of an ELISA inclusive of incubations. 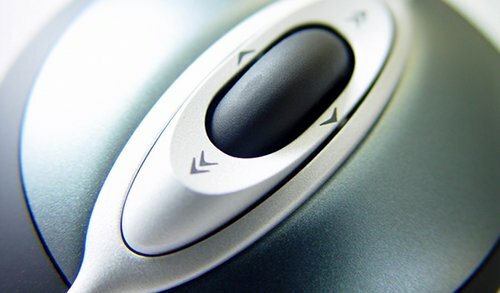 Users simply press a button and walk away; eliminating multiple instruments and saving both bench space and cost. 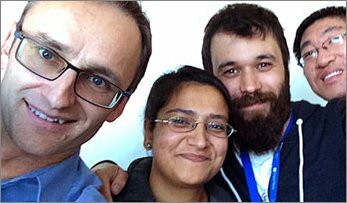 Here we describe the specifics of such a system. 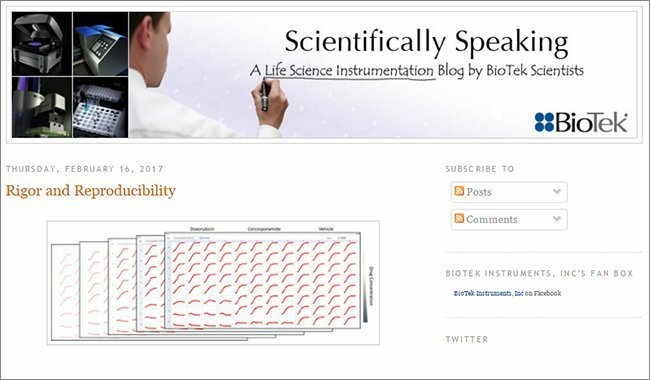 Many biochemical assays involve the addition of different reagent fluids interrupted by delays or incubations to allow for reactions to occur. 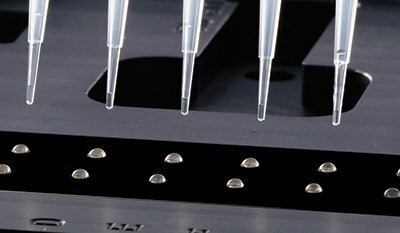 Originally these assays were performed in test tubes, but they have since been converted to microplates as a means to reduce reagent volume and increase throughput. For example, the typical ELISA assay involves the addition of two to three different reagents and wash steps to remove unbound materials from the well, leaving only specifically bound material attached to the solid surface of the microplate well. 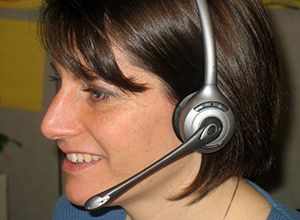 The ELISA procedure is ubiquitous in biomedical research and clinical testing. 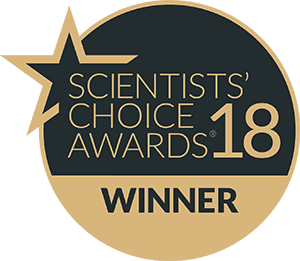 ELISA typically uses a microplate as a solid surface onto which specific antibodies are bound allowing the capture and analysis of a seemingly infinite number of analytes. It does so by a series of incubations, reagent additions and wash steps. During incubations specific molecules are bound to the solid substrate by interactions with the previously absorbed antibodies. Following the binding step, unbound material is removed by the washing step. After the unbound material has been removed the next reagent, usually a conjugate, is added and allowed to specifically interact. The conjugate is a chimeric molecule containing a specific antibody and an enzyme protein covalently linked. Again unbound material is removed and the next reagent, substrate added afterward. The substrate interacts with the enzymatic portion of the conjugate to produce a colored compound, which can be detected by absorbance, fluorescence or luminescence depending on the specific substrate used. Regardless of the analyte, the same process steps are used in ELISA. Figure 1. EL406 Microplate Washer Dispenser. 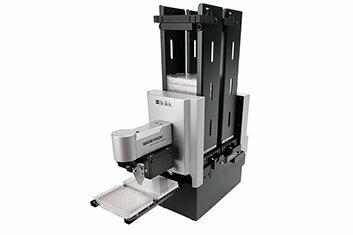 The EL406 Washer Dispenser is an automated microplate processor that can perform microplate washing steps in 96-, 384- and 1536-well microplates. 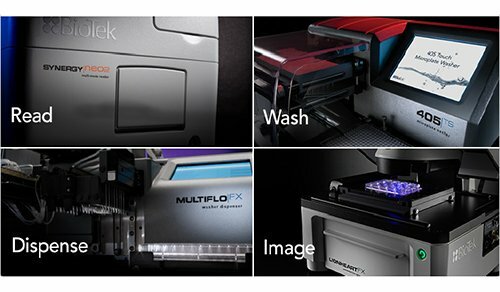 In addition to standard wash routines, the EL406 has built in cell-washing capabilities. A buffer switching valve allows for the selection of up to four different wash buffers without changing bottles. A built in sonicator provides the capability for automated cleaning maintenance of the dispense manifold. The device has up to three different reagent dispenser heads. One head is a peristaltic pump device capable of dispensing from 1 µL to 3000 µL. The EL406 can also be configured with an additional module that has two independent syringe-pump dispensers capable of dispensing from 5 µL to 3000 µL. The EL406 is capable of plate shaking at three different speeds and is robotic compatible. 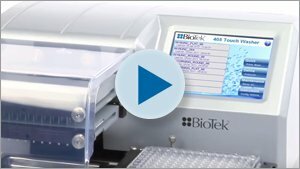 The BioStack is a microplate handling and storage device capable of holding up to 50 plates. 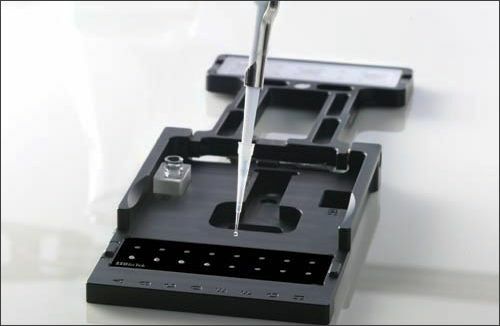 It uses a plate gripper to lift the microplate from the diving board of the BioStack and place it on the carrier of the EL406. The BioStack sequentially delivers plates from the bottom of the input stack to the EL406 and then receiving them into the bottom of the output stack. The net result is that the first plate to be processed will come from the bottom of the input stack and end up at the top of the output stack. Prior to subsequent processing the stacks are moved from the output stack back to the input stack, a process called re-racking. Besides resetting the plates to be processed, this action also reorders them such that the first plate to process is again on the bottom of the stack. 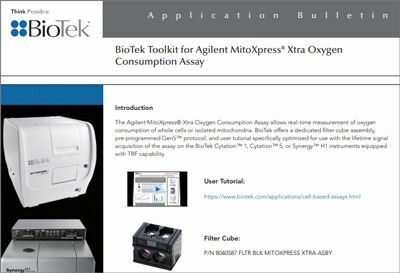 Using the BioStack as both an input/output storage device, as well as an incubation location for the EL406, facilitates assays that involve the addition of reagents and the washing of microplates. 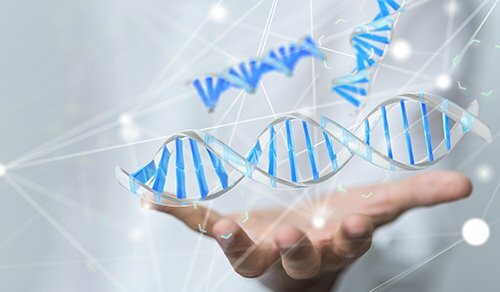 Liquid Handing Control software (LHC) can be used to control both the BioStack and the EL406 and coordinate their actions, which allows for the automation of many assays that involve the addition and removal of fluids at timed intervals. 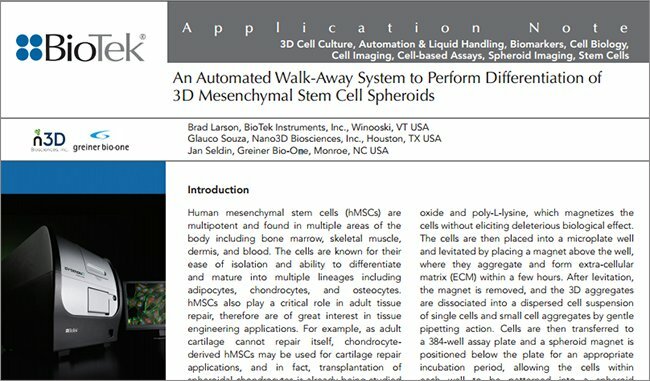 Here we describe the automation of the liquid handling portion of two different assays. Avian Influenza Virus (AIV) is a viral disease of domestic and wild birds, which has a range of responses from almost asymptomatic to very high mortality. The Synbiotics Test Kit is a specific screening test for the detection of antibody to AIV in chicken serum samples. 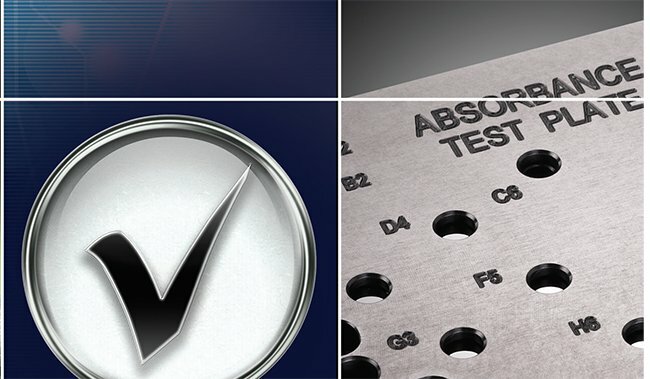 The basis of the test is that serum from chickens exposed to AIV antigens will contain specific anti-AIV antibodies, which can then be captured on a test plate coated with AIV antigens through an antigen-antibody complex. The screening of chicken flocks for Avian Influenza Virus provides an important role in insuring that bird flocks are disease free. The sheer number of animals that need to be tested under normal circumstances in many animal test facilities requires large numbers of samples be processed daily. In the event of a disease outbreak the test-volume would be expected increase many fold above the current levels in specific regions. 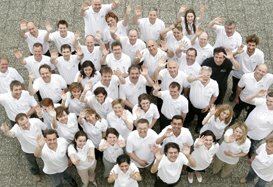 Automation of this process provides a tremendous savings in time and manpower. 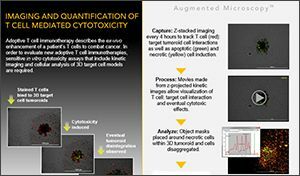 Here we describe the BioTek robotic system used to automate the liquid handling steps of the Synbiotics Avian Influenza Virus Antibody Test Kit. Figure 2. Avian Influenza Virus Antibody Assay Test Procedure Steps. Processes carried out by the EL406 Washer Dispenser are indicated in Red. The Avian Influenza antibody test used was an ELISA kit from Synbiotics (San Diego, CA) and was performed as described by the kit instructions. 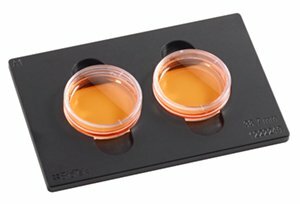 Briefly, Samples and Controls were diluted offline and 50 µL of each was pipetted into the assay plate along with 50 µL of dilution buffer. Plates were loaded into the BioStack Microplate Stacker. The plates are allowed to incubate for 30 minutes and then transferred sequentially to the EL406 where the plates were washed 3 times with 300 µL of wash buffer followed by the addition of 100 µL of conjugate using the peristaltic pump dispenser. The plates were then returned to the BioStack and restacked to restore their original order and allowed to complete the 30-minute incubation at room temperature. After incubation the plates were transferred automatically to the EL406 and washed three times with 300 µL of washer buffer followed by the addition of 100 µL of substrate solution using one of the syringe pump dispensers. Plates were automatically returned to the BioStack and restacked and the color development allowed for 15 minutes. After color development, the plates were automatically returned to the EL406 and 50 µL of stop solution was added using the second syringe-pump dispenser and the plates returned to the BioStack. After restacking, the absorbance of the wells at 405 nm was determined using a Synergy 4 Hybrid Multi-Mode Reader from BioTek Instruments, (Winooski, VT). Figure 3 demonstrates that semi-automation can be achieved using the EL406 Washer Dispenser in combination with the BioStack. Plate movement and processing is controlled using Liquid Handling Control (LHC) Software. 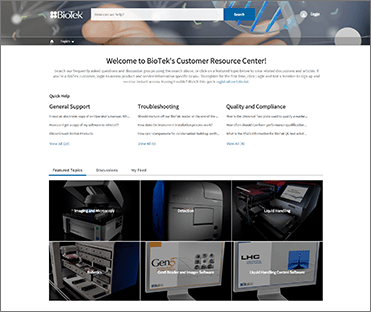 LHC interfaces with both the BioStack and the EL406 to control process order, timing and incubation delays. 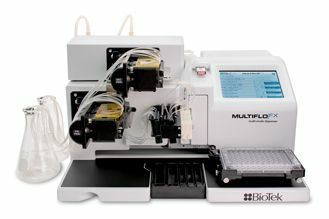 The Avian Influenza virus antibody test kit was performed using either an EL406 and BioStack or a combination of an ELx405 washer, a MicroFlo Select Dispenser and two MicroFill Dispensers (described as “Manual” in Figure 3). When the results from the Avian Influenza virus antibody test are compared very similar results are observed when calculated S/P ratios are examined. This ELISA assay used two different wash steps to remove unbound material, as well as three different reagent additions with intervening incubation steps. Careful timing of delay steps in the LHC software allowed walk away processing with the EL406 once the diluted samples and controls were pipetted into the assay plate. After the plate processing steps have been completed the plates are manually moved to a microplate reader. While the plates were hand fed into a Synergy 4 Hybrid Multi-Mode Reader, this task could have been accomplished by moving the BioStack plate rack to another BioStack chassis and the plates would have been read sequentially without intervention. Figure 3. Comparison of Manual and Semi-automated EL406 Processing. Positive and negative kit controls were treated as unknown samples and the signal to positive control ratio (S/P) was calculated. Data represents a total of 72 samples of each from 3 different assay plates. Melamine is a nitrogen rich compound normally used as either a flame retardant or in conjunction with formaldehyde to produce melamine resin, a durable thermosetting plastic used in the manufacture of countertops, fabrics, and glues. However, in addition to the normal use of melamine, several illicit uses for the material have been reported. The practice of using melamine scrap as an additive to animal feed and food products to give the appearance of increased protein content is widespread in many countries. Recently a scandal China has implicated over two dozen companies and numerous individuals of adding melamine to milk and infant formula, leading to kidney stones and renal failure, resulting in the deaths of several infants and the sickening of over 53,000 others. 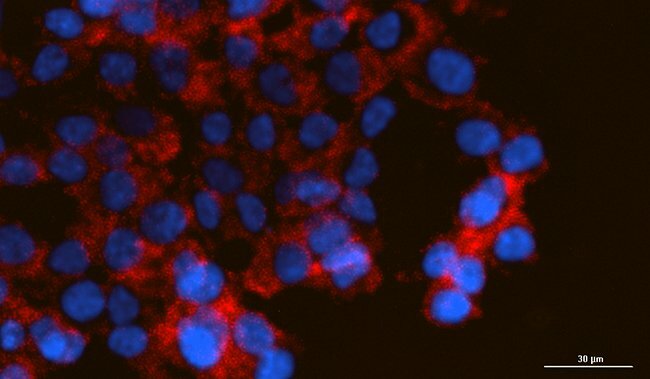 The melamine assay is a competitive ELISA, where melamine-HRP conjugate competes for binding to the melamine antibody attached to the wells of the microplate. Following the completion of the binding reaction, unbound sample and conjugate is removed by washing. Substrate reagent is immediately added and the color allowed to develop. The color-development reaction is terminated by the addition of stop solution and the absorbance of each well is determined. Unknown concentrations are then determined by interpolating a standard curve generated by running standards of known melamine concentrations. In order to easily compare multiple experiments the data is expressed as a ratio to the zero-standard. This ratio is often expressed as B/Bo. 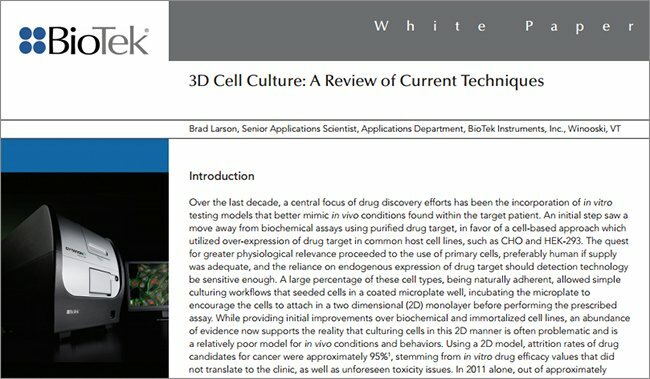 Here we describe the use of an EL406 Washer Dispenser in conjunction with the BioStack and LHC Software to semi-automate an ELISA. Figure 4.Schematic diagram of the procedural steps of the melamine ELISA reaction. Processes carried out by the EL406 Washer Dispenser are indicated in Red. 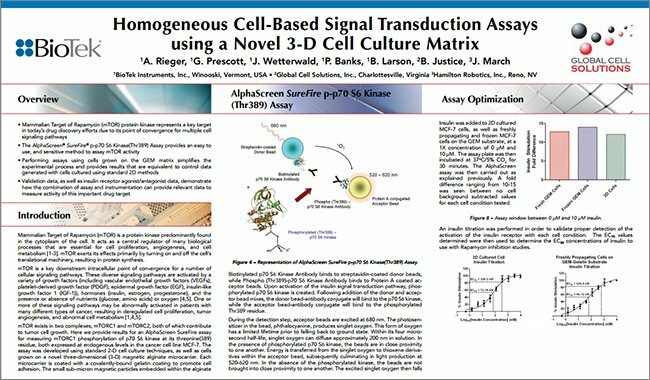 The melamine assay used was an ELISA kit from Abraxis (Warminster, PA) and was performed as described by the kit instructions. Samples and Standards were prepared off line and 100 µL of each was pipetted into the assay plate. Plates were loaded into the BioStack storage stacker and the assay initiated. 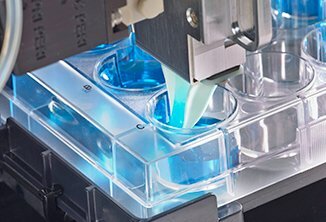 Plates were automatically transferred sequentially to the EL406 where 50 µL of Assay Conjugate was added using the peristaltic pump dispenser. The plates were then returned to the BioStack and restacked to restore their original order and allowed to complete the 30-minute incubation at room temperature. After incubation the plates were again transferred automatically to the EL406 and washed four times with 300 µL of washer buffer followed by the addition of 100 µL of substrate solution using one of the syringe pump dispensers. Plates were automatically returned to the BioStack and restacked and the color development allowed for 20 minutes. After color development, the plates were automatically returned to the EL406 and 100 µL of stop solution was added using the second syringe-pump dispenser and the plates returned to the BioStack. 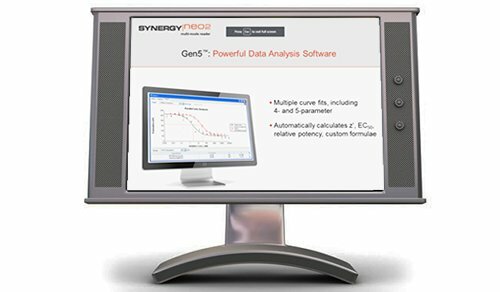 After restacking, the absorbance of each well at 450 nm was determined using a Synergy 4 Hybrid Multi-Mode Reader (BioTek Instruments). Figure 5. Melamine Calibration Curve. The data in figure 5 demonstrates the efficacy of using the EL406 washer dispenser to automate the fluid handling tasks of the melamine ELISA. Unbound material was removed using the washer function, while the necessary reagents were added using the three dispensers of the instrument. Using a B/Bo calculation where the ratio of each standard to that of the mean of the zero-standards, significant changes in signal are observed as a function of melamine concentration. Using a 5-parameter logistic fit of the data, unknown sample concentrations can be determined by interpolation from the curve. Detection limit calculated by interpolation of the mean of the zero standards minus 3 times its standard deviation, ranged from 10-30 µg/mL in three different experiments. The half-maximal B/Bo response averaged 105 ng/mL over the same experiments. Laboratory bench space is a valuable asset that is often in short supply. 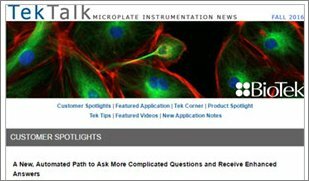 Instruments that are large and bulky, or the requirement for multiple instruments to perform assay functions, lead to crowded and cluttered work areas that decrease productivity. Because the cost of adding new laboratory space is often prohibitive, in order to improve productivity it is necessary to develop instrumentation that provides multiple functionalities in a compact single package. The EL406 Washer Dispenser provides the same functionality as four individual instruments (ELx405 Washer, 2 MicroFill and 1 MicroFlo Dispenser) in a footprint only slightly larger than that of the ELx405 washer it replaces (Figure 6). 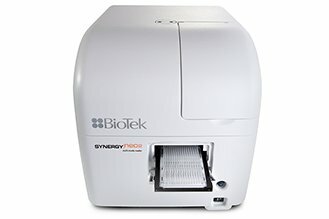 Even when a BioStack plate storage device is included with an EL406 the footprint is considerably smaller than the combined footprint of four instruments. Figure 6. Multi-component manual assay and EL406 semi-automated systems. Figure A depicts an EL406 Washer Dispenser integrated with a BioStack storage device. Figure B depicts the four instruments (ELx405 washer, MicroFlo Select Dispenser, and 2 MicroFill Dispensers) necessary to provide the equivalent capability of the EL406 Washer Dispenser. Robotic systems that utilize the EL406 rather than multiple instruments are less complex and require significantly less space. 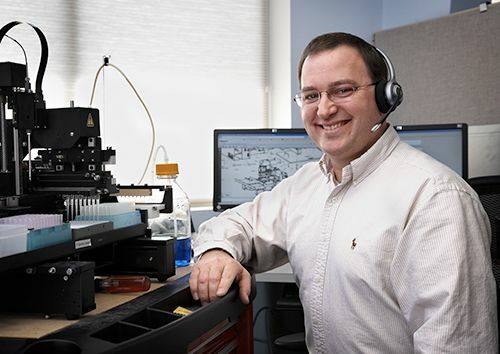 A less complex robotic system is not only easier to install, but also easier to maintain. A typical ELISA robotic system using an EL406, while requiring the same floor footprint, does not require the vertical stacking of instruments in order for the robot arm to reach all the instruments. Because the system requires less instrumentation, everything can be fit into a single tiered table rather than the multi tiered table required with multiple instruments. Thus a standard lab bench can be utilized rather than an expensive custom table. Besides being less expensive, cabling and access to reagent reservoirs is much easier with a single tier set up. When the EL406 is integrated into a robotic system, such as that required automating the ELISA procedure for Avian Flu, the use of an EL406 can save significant amounts of process time. ELISA procedures typically require the addition of a reagent subsequent to a wash step. Using a standard configuration of an automated ELISA system, this would require that the plate be moved from the washer station to the reagent addition station. This plate movement step can be eliminated with the use of the EL406, as the washer and dispenser capabilities are integrated into one device. 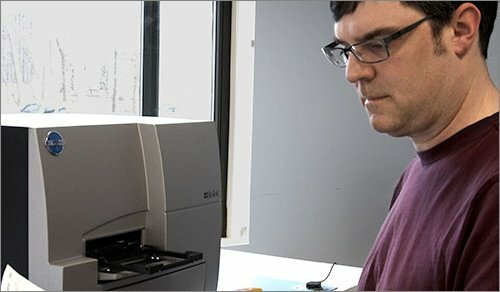 The elimination of several plate movement steps can result in significant time savings through the course of a large assay batch run. As demonstrated in Table 1 using the EL406 in lieu of individual components can save as much as 1½ hours of run time for a 40 plate batch. 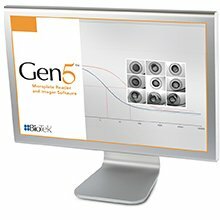 These data indicate that automating the liquid process steps with the EL406 in combination with a BioStack, both controlled by LHC software, provide equivalent results as compared to a manually run assay. In the example of the Avian Influenza virus antibody test a direct comparison of the EL406 with manually run assays shows equivalent results when positive and negative samples are tested. When an ELISA that quantifies melamine is performed using the EL406 system, the resultant standard curve and detection limits agree very well with the data reported in the kit instructions. 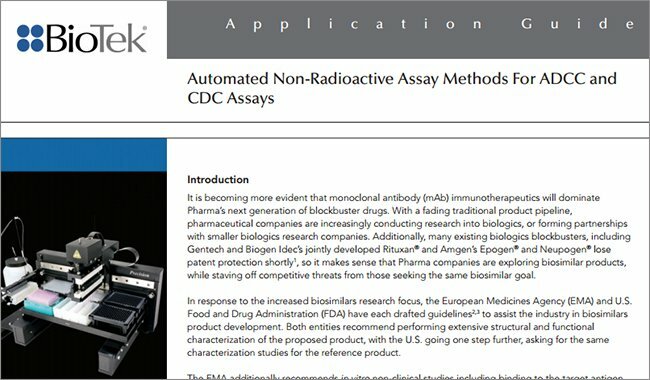 While the assay demonstrated in this treatise were both ELISA processes, almost any assay that utilizes reagent additions or wash steps intermixed with ambient incubation periods can be automated in a similar fashion. 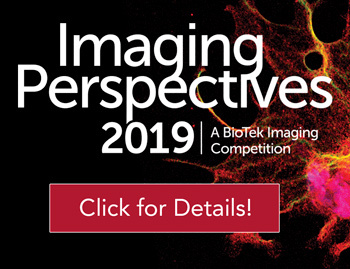 Protein assays such as the Lowry or BCA methods would be examples of colorimetric assays that would candidates for this type of semi-automation. The EL406 system provides a significant cost savings in a number of different ways. 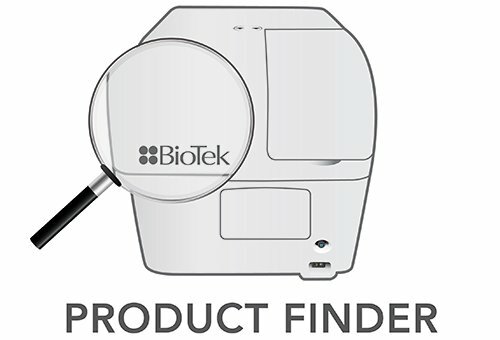 The EL406 Microplate Washer Dispenser is the equivalent of four instruments with a price point that is substantially less than the sum of the instruments that it replaces. In addition the to the direct purchase price savings, the EL406 saves on indirect costs as well. The EL406 requires significantly less bench space than the instruments that it replaces, allowing the vacated bench space to be used for other uses. In fully automated robotic platforms, the use of an EL406 rather than the instruments that it replaces, leads to less complex and easier to maintain systems. Not only are these systems less expensive to set up and maintain, but the use of the EL406 will often lead to direct time savings due to a reduction in required plate movements.